Pending at print. 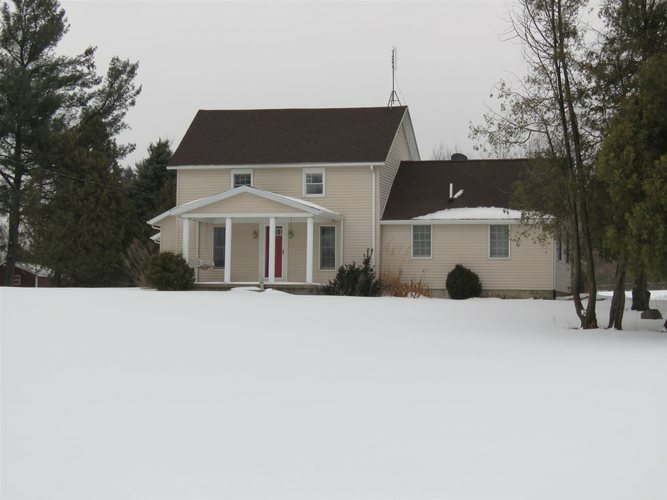 Middlebury country home on 3 acres. 5 bedrooms, 1 bath with over 2400 square feet. Construction on an additional main level bath has been started. Maple hardwood floors. Beautiful kitchen with granite countertop. Open concept floor plan. Finished basement and attached garage floors have been prepared for in-floor heating. Spacious 720 sq ft attached garage. Above-ground pool. 21 x 36 barn with loft. 16 x 24 detached garage. Septic system with switch valve.